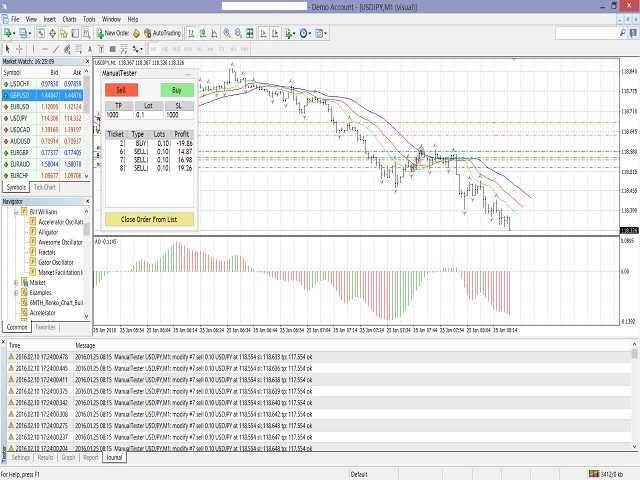 The Manual BackTester Panel utility allows to simulate the manual trading in the MetaTrader 4 strategy tester. 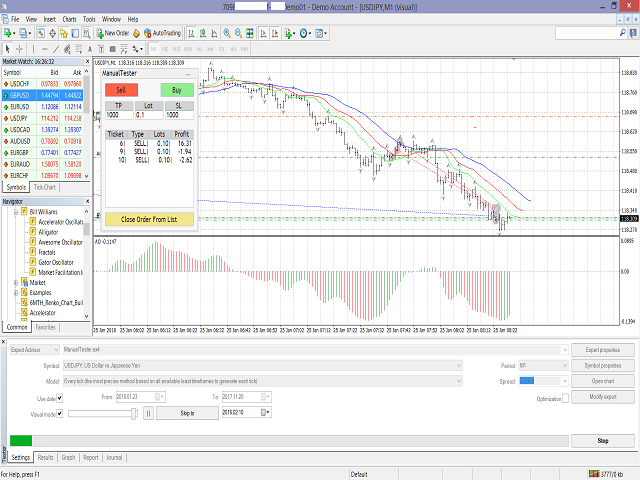 The panel works only in the virtual mode of the MetaTrader 4 strategy tester. The demo version allows to open and close ten orders, then the program will automatically turn off. The utility has no parameters at initialization. The panel has Buy and Sell buttons for placing market orders. It is possible to set the Take Profit and the Stop Loss in the TP and SL fields, respectively, measured in points of order opening price. The Lot field sets the lot size. The window below the fields shows a list of opened orders and their parameters: ticket, type, lots, profit. It is possible to mark the order by double clicking, and closing it by pressing the "Close Order From List" button. The panel supports up to eight open orders, as a greater number of orders will cover the tested chart. 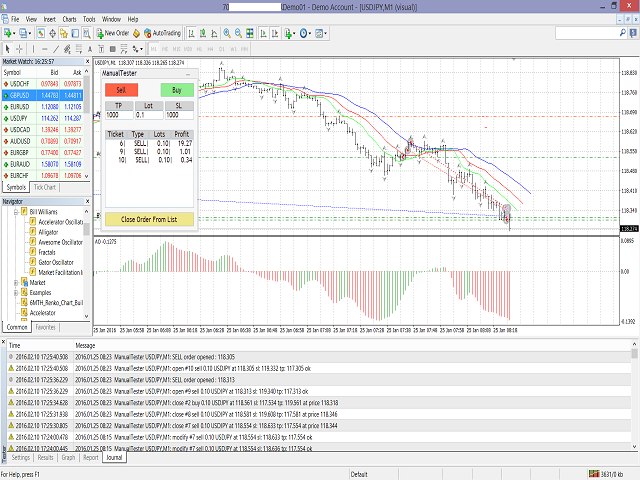 The take profit and stop loss of each order can be modified manually. For that it is necessary to press the take profit or stop loss line twice, and to move the line to the desired price manually. The panel can be minimized by clicking the icon in the upper right corner. Brilliant tool for manual strategy backtesting!!! 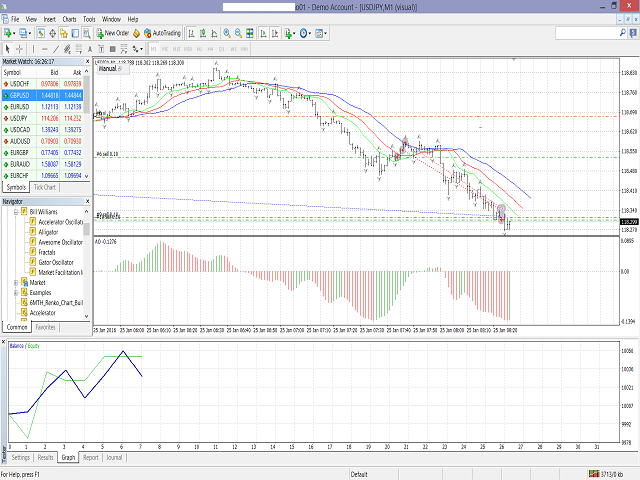 Fixed the error when manually moving the stop loss and take profit. In the previous version this feature did not always work correctly.